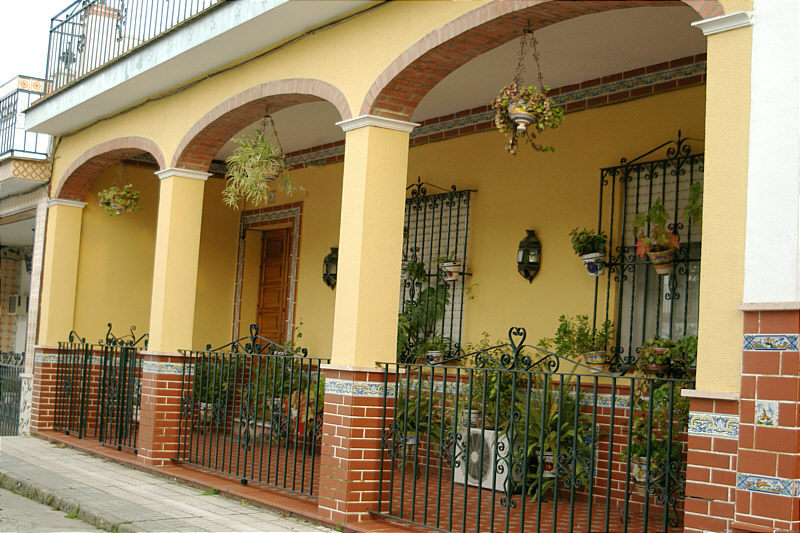 Photo: House on C/ Pablo Cosso Calero, the main street of Bormujos. Eastern Mojave Vegetation House on C/ Pablo Cosso Calero, the main street of Bormujos. The older houses in Bormujos tended to the one or two stories. Almost all had a flat roof with stairs to the top so that the roofs could be used for a patio and to hang clothes out to dry. Many of the house fronts were decorated with tile, sometimes in a very elaborate design. Field Notes: Wednesday, February 18, 2004.